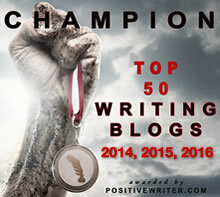 The ability to make eBooks with WordPress solves a number of publishing problems. 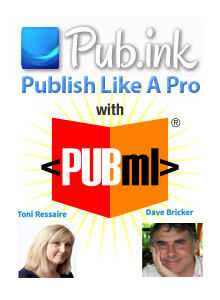 I offeried a free Webinar with Toni Ressaire of pub.ink that walks you through the process of creating eBooks with WordPress and publishing them. That webinar is archived in this post along with my previous webinar about eBooks in the web browser. One challenge facing authors and publishers is the limited set of tools available for creating eBooks. It’s easy enough to export an eBook from Adobe InDesign or other software, but if you want to edit an eBook, the process is too technical for most writers. 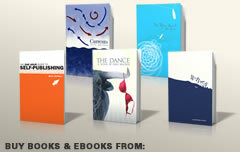 The PubML WordPress plugin tools make eBook editing easy, visual, and intuitive. And the state of eBooks is such that every reader renders them with a not-so-slightly different appearance. Though eBooks are based on HTML and CSS (the standard coding conventions used to render content on the web) eReader devices and software interpret these “standards” with wide variations. To address display problems, I created a PubML (Publishing with HTML) web-based eBook format that works in your web browser. EReaders won’t support web standards, but web browsers do an excellent job at it. If you missed my webinar on eBooks in the Web Browser, you can catch the replay below and check out http://thebluemonkbook.com.